Greasy roots may be regularly showcased on the catwalks and used within high fashion shoots, but in reality they’re unsightly and leave us feeling downtrodden. A little lift at the root has the power to transform our look and ensure we bounce down the street, happily swinging our hair behind us, so it’s no surprise that dry shampoos have never been more of a bathroom staple than they are now. This once unloved corner of the hair care market was previously reserved only for camping holidays and blondes that didn’t want to dry out their locks; however, with the increase in popularity of the festival, paired with our ever growing busy lives, these cans of powdery spray have become as much as staple in our routine as serums and hairsprays. Used not only to absorb excess oil in place of a wet hair wash, but increasingly as a styling product to add texture and hold to a look, it’s safe to say that we’re collectively a little bit addicted. Although these sprays can offer a real solution to a problem, their chalkiness can be problematic – as can their incorrect or overuse. 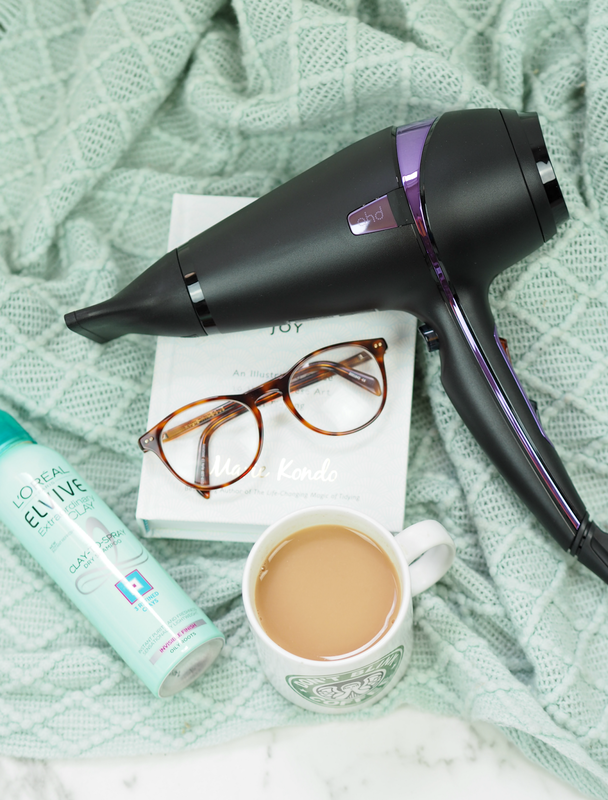 If you’ve ever wondered how you can get the most out of your can of dry shampoo, help is at hand! TIP 1: Always apply your dry shampoo a hand-span width from the scalp, so you don’t overload the surface with product. Most of the problems associated with dry shampoos are because too much is applied to closely to the hair line. Spritz evenly in sections, separating the hair like you would if you were dying it. TIP 2: Leave the dry shampoo to absorb oil for at least one minute before touching your hair. Often we’re too keen to get started on styling, preventing the product from getting to work and re-applying to get the benefit we need. That’s a waste of time and product! TIP 3: Disperse the spray by brushing hair in all directions, leaving behind a refreshed texture and hair that’s full of bounce. 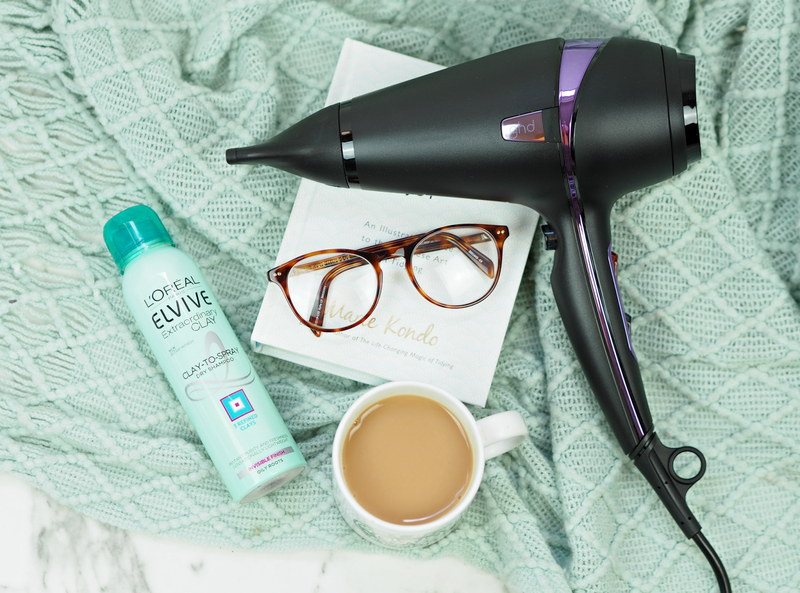 Using a hairdryer (like this limited edition GHD Air – super powerful, sleek and as good as a hairdresser in your home!) to blast on a cold setting will also help remove residue; never use it on a hot setting as this will bring out more sebum to the surface, counteracting the good work of the dry shampoo. TIP 4: If you’re concerned about residue appearing throughout the hair (or white marks giving the game away,) apply your dry shampoo before bed and sleep on it. Don’t brush your hair in the morning, but instead just use your fingers to comb through and add volume to the crown. TIP 5: To counteract the dry feeling dry shampoos can often leave behind, use a small amount of leave-in conditioner on the ends to provide a hydration boost (using any excess on the top of the head for added shine.) This will help restore the texture you get from freshly-washed hair. Ta-da! Beautiful, effortless hair every single time. I’m currently loving this L’Oreal Elvive Clay-To-Spray Dry Shampoo which I picked up on a whim in Boots, in my never-ending hunt for lightweight hair products. It’s practically invisible, helps to absorb slightly greasy roots and gives a gentle lift without overloading my ‘do. Do you have any other top tips for getting the most out of your dry shampoo? Which brands are your fave?